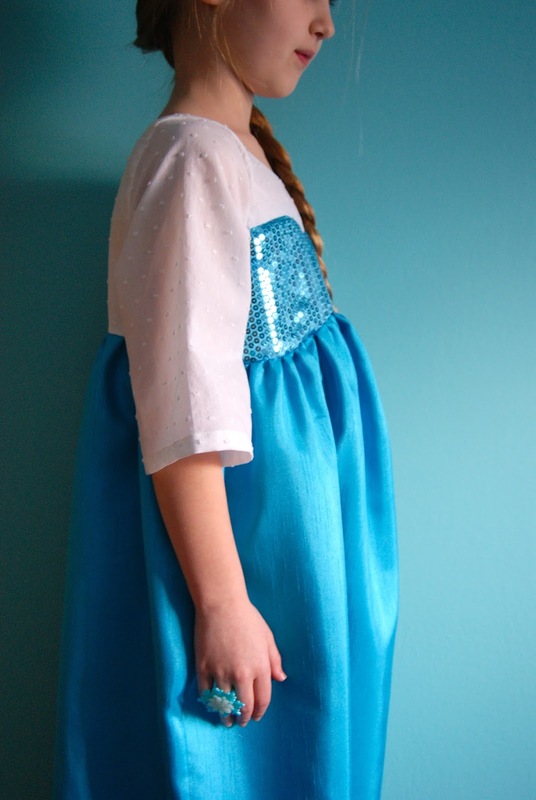 Raise your hand if you’ve already sewn an Elsa dress. Well, I can now raise my hand because I finally got around to creating one. 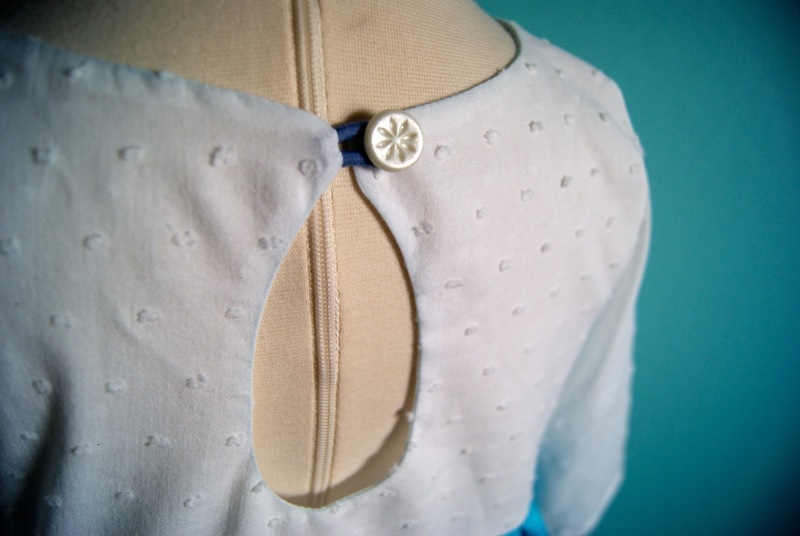 After every sewing mother and grandmother in the online sewing community made one. And after everyone else bought all of the Elsa fabrics up at the fabric stores. 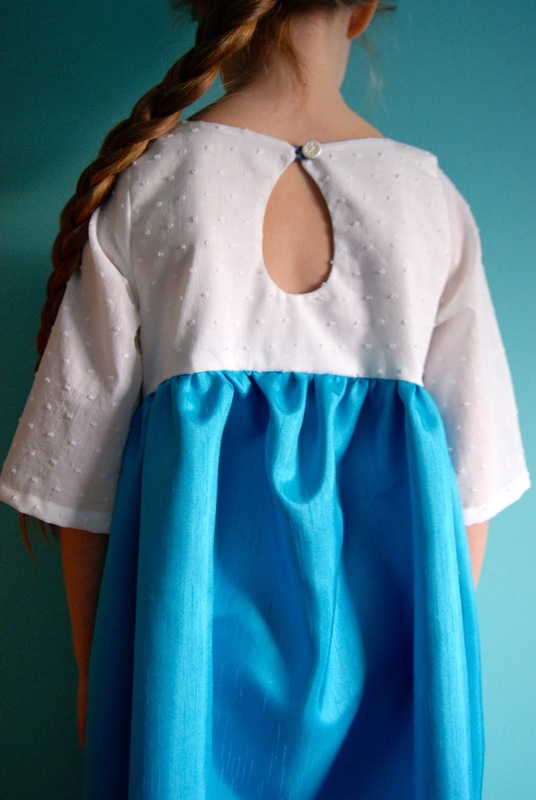 I used the CaliFayeCollection Gardenia Dress pattern, a dress pattern I discovered for the first time in STYLO 3. Notions: white shank button with a snowflake on it, the last one leftover from the Nordic stripes flannel Christmas pajamas. I later added a removable cape. It’s 3/4 yard of light sparkly fabric, three sides were hemmed, it's gathered at the top and sewn together with bias binding, with elastic loops at each end that attach to buttons on the shoulders. I got the idea here. An added bonus is that she is able to put the cape on and off all by herself, it's that easy. 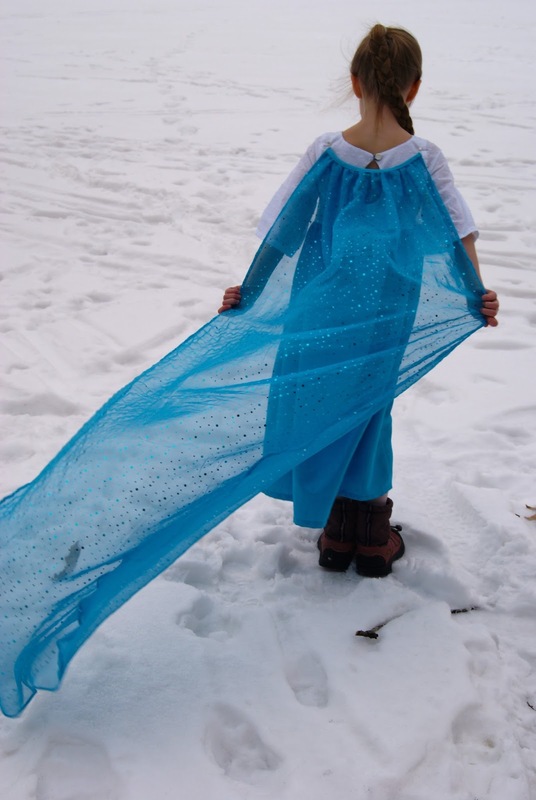 What better place to take photos of Elsa the snow queen than outside in the snow?? These photos were taken on one of Minnesota’s 10,000 frozen lakes. 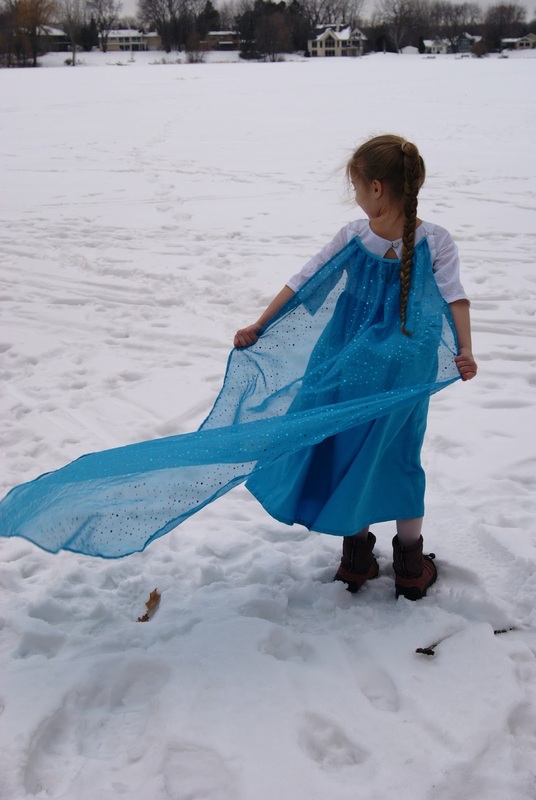 So many Elsa dresses out there that offer inspiration, just in case you haven’t already made a girl’s dreams come true yet and are looking for ideas: here, here, here, here, here, here, here, here, and here. 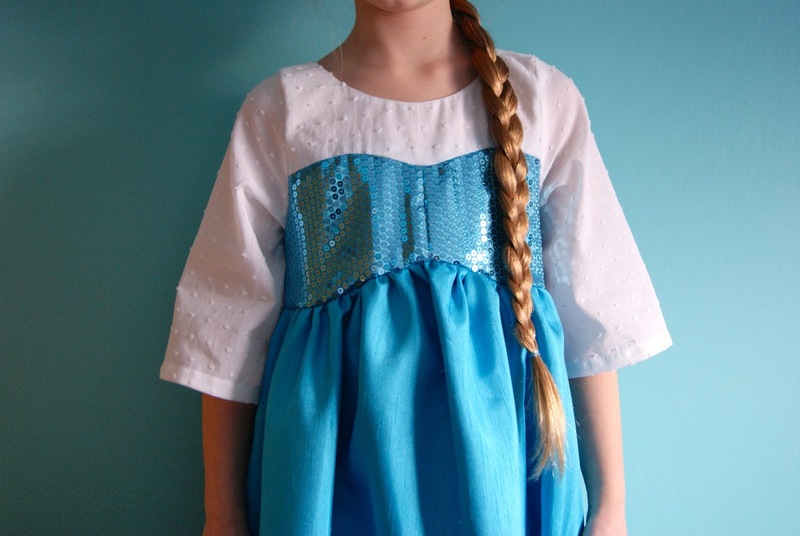 Now she wants an Anna dress. I think it’ll be the same pattern, but with ‘Anna colors’.